Chaumet celebrates marriage with a new space dedicated exclusively to the ceremony so intimately linked to the identity of the Maison. 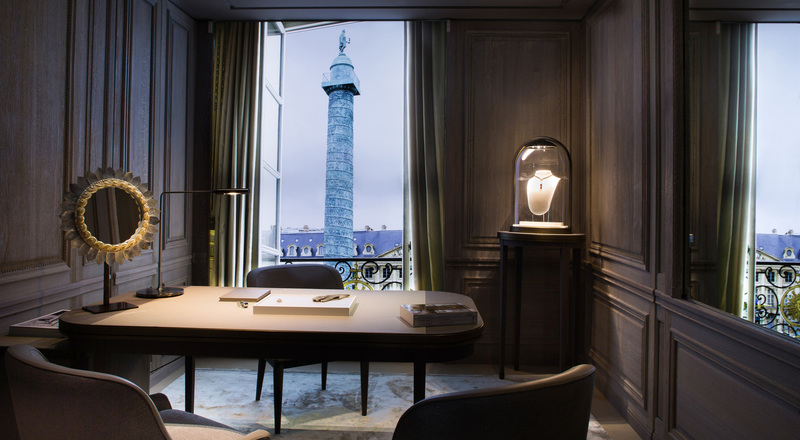 Located at Place Vendôme, this superb setting presents all the jewelry and high jewelry collections designed for the wedding ceremony. 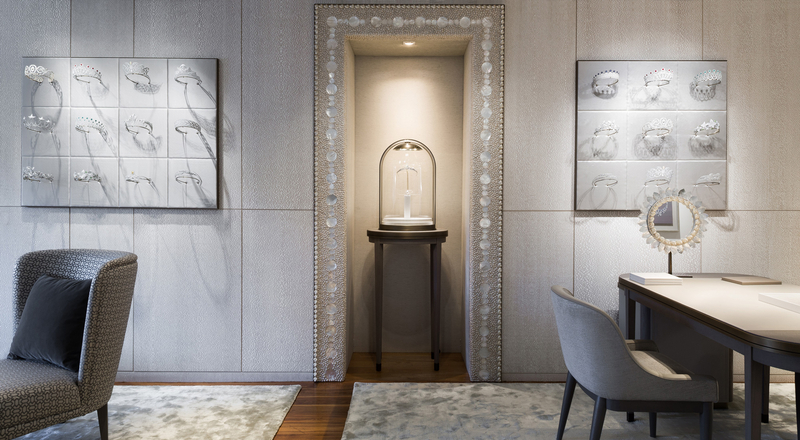 The new Chaumet Bridal store is a one-of-a-kind setting, presenting all the jewelry and high jewelry creations that embody the exceptional savoir-faire and excellence of the Maison. From imperial tiaras to the Aigrette ring that crowns the finger, Chaumet creations celebrate the bond between two beings. A privileged witness to its clients’ cherished love story, Chaumet marks life’s happiest moments with precious milestones: engagement rings, wedding bands, tiaras…all eternal symbols that accompany personal ceremonies. 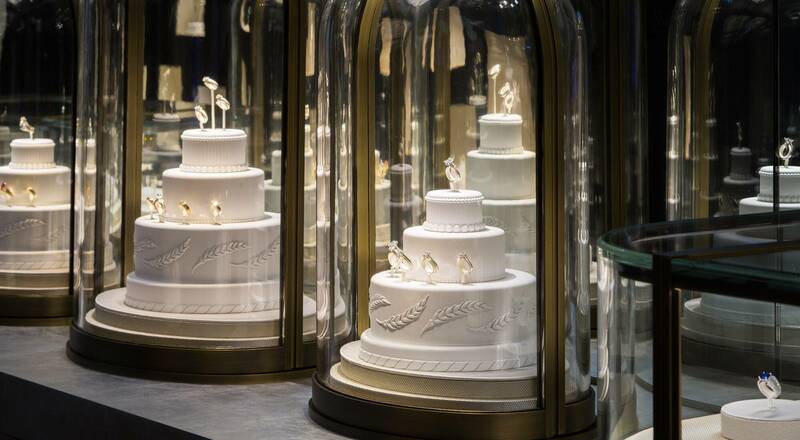 Designed as an intimate cocoon, the boutique showcases the jewels synonymous with the triumph of love. The priority is on the touch and sensuality of materials to delicately reflect light and resonate with the unique Chaumet tradition. The finest noble materials create a uniquely elegant atmosphere, with pearl-grey carpets that play off iridescent mirrors and alcoves, and silky fabrics in a gradation of soft hues. Beyond the creations presented, the boutique is a voyage of discovery into Chaumet’s age-old jewelry tradition. There is also a range of exclusive services such as special order tiaras or a fitting of jewelry pieces with the wedding gown.